Intergroup – July 2012 – Lincoln Nebraska A.A.
Secretary: Not Present – Thank you to Stacey N. for filling in and taking minutes. 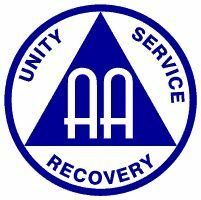 The AA Traditions were read by: Stacey N.
Stacey has official been elected as the District 29 intergroup rep. Still discussing attending other meetings to discuss CO and it’s role in community. Jim will check The Meeting Place website to see if the calendar of events is posted there. Gary & Craig will go to Regional Center to present Ron P. with his chip. Oldtimers meeting 8/11/12 in the great hall from 1-5pm. They’ll have a table to sign up if people are willing to speak or be a sponsor and supply this to Marcella. Ernie to Jim K that Marcella can call the post office and they will pick up packages for her. Jim will find out more. (LCF) – Chad O. Kelly at the downtown jail has made a request that we try to find a Spanish speaking A.A. volunteer who will bring a Spanish A.A. meeting into the downtown facility. (CCCL) – Tom E.; The men’s in-house 12-Step Study on Tuesday nights continues to go well. (RTC) – Bill O; A 4th volunteer has been cleared to attend the meeting on Saturday night. (Old Business) – On June 10, 2012, Tom E and Joe G attended the Treatment Committee meeting to discuss a joint workshop for this fall. A format was agreed upon. Both committees will now check on the availability of facilities and begin contacting speakers and presenters. ** These are numbers from the new lists that are in affect for July, August, and September. Bob reminded committees to bring 2013 budgets to the August meeting. How to let facilities know we’ll support you (rides, phone lists, meetings) but not buy books for them, etc – is there some line there? Lack of Bridging the Gap – what we need to do to give support to help. Furnish books? – make a strict list of what we do and don’t do. Revise mission statement with concrete list? Voted to send chair twice a year to Area 41 to find out some of these answers. It’s not being posted so no discussion. Deposits dried up despite money being deposited before. Monday Night Stag did vote on contributing and they will be sending money again. Meeting closed and we all gathered for the Serenity Prayer. The next meeting is Friday, August 31 @ 6:30 @ Willard Community Center-1245 S. Folsom St. Thank you to Stacey for filling in for me. And thank you for allowing me to be of service.